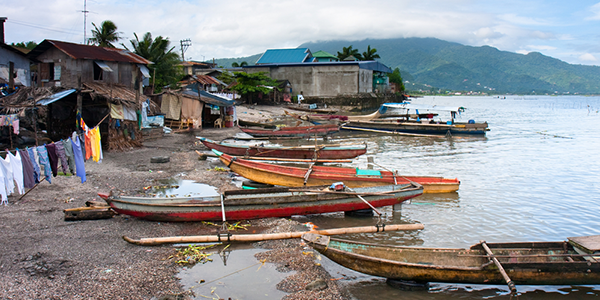 The water from Lake Laguna in the Philippines is in heavy demand. It supplies water to the capital city of Manila and is a source of irrigation for agriculture, serves as a habitat for fish farming, harbors recreational activities and is a sink for wastewater. These services provide great economic value to the economy—however, much of it is hidden or unaccounted for in the country's gross domestic product (GDP). To get a better grasp of these contributions, the Philippine Government will soon build an "ecosystem account", a broad collection of data that looks at the services provided by an entire ecosystem—such as food and drinking water production, carbon sequestration, water purification and recreational use. Information yielded from the accounts can be used to shape policy and decision-making. The UN Statistical Commission has come up with a framework of Experimental Ecosystem Accounts (see box). There is a need to test and experiment with the methodology to figure out what works best in measuring a full range of services that ecosystems offer. The WAVES Policy and Technical Experts Committee (PTEC) is piloting some of the testing. The methodology working group of the WAVES Policy and Technical Experts Committee (PTEC), which met in Washington, D.C. May 14-15, 2013, identified three test sites to start to develop guidelines on how to implement ecosystem accounting. The results will be reported back to the United Nations Statistical Commission as input to the handbook for the System of Environmental and Economic Accounts (SEEA), Vol. 2 on Ecosystem Accounting. PTEC was established in the fall of 2012 to provide guidance and support for one of three objectives of the WAVES (Wealth Accounting and the Valuation of Ecosystem Services) partnership—develop internationally-agreed guidelines for ecosystem accounting. The May workshop initiated the process of identifying test sites. "(Under PTEC) WAVES is bringing together a community of practice in order to learn from each others experiences". said Urvashi Narain, a senior environmental economist with the World Banks Sustainable Development Network working with the WAVES Partnership. "The idea is to pilot and test different methodologies for compiling ecosystem accounts, to do the hands-on work, to figure out how to apply them and what methodologies work under what circumstances." With ecosystems around the world under threat, ecosystem accounting can make explicit the contribution of ecosystem services to GDP. Once valued, ecosystems are likely to be better managed. The accounts also look at the extent of change or degradation of ecosystems from which these goods and services are generated and the resultant loss of economic value. Although dozens of countries develop accounts for environmental assets such as minerals, water and forests, ecosystem accounting is still in its early stages even in countries with a long history of conducting environmental-economic accounts such as Australia and Canada. Over the past few years, experimental accounts were constructed in the state of Victoria, in southeast Australia, based on principles from the SEEA. They showed how changes in ecosystems can be attributed to human intervention (i.e. revegetation), natural change or environmental events (i.e. flood and fire). They provided the basis for an experimental system of payment for ecosystem services on agricultural land. Core WAVES countries interested in undertaking ecosystem accounts include the Philippines (in Southern Palawan and Lake Laguna); Colombia (watersheds); and Madagascar (priority protected areas). In Madagascar, for example, the results could help inform policy to develop sustainable financing mechanisms for biodiversity-rich protected areas that generate significant tourist income as well as provide water for agriculture, industry and communities. The Ecosystem Values Assessment and Accounting (EVA) project, led by Conservation International (CI), is being implemented in Peru. Funded by the Gordon Moore Foundation, EVA takes a broad and practical approach in incorporating natural capital into decision making consistent with the SEEA. CI is working alongside the Government of Peru conducting a scoping exercise to identify policy goals, potential pilot sites, and ecosystem accounts to be assessed such as carbon sequestration, non-timber forest products, water regulation or erosion. Once policy goals are identified, CI will begin selecting biophysical models and economic valuation techniques drawing on the PTEC experts. "We are grateful to bounce ideas back and forth with PTEC. We are tangling with the idea of valuing natural capital and there is confusion with the methods and terminology, and how different initiatives and tools fit together", said Daniel Juhn, a member of the PTEC committee and senior director of Integrated Assessment & Planning at the Betty and Gordon Moore Center for Science and Oceans at Conservation International. EcoSpace uses spatial and biophysical modeling to measure ecosystem services in the context of land use change. The data can be used to develop ecological-economic models to analyze ecosystem benefits to society and to explore available environmental management options. The project is being implemented in Benin (Upper Ouémé catchment), Indonesia (Central Kalimantan Province), the Netherlands (Limburg Province), and Norway (Telemark Fylke). For these four provinces, specific maps are being produced for ecosystem services and ecosystem assets, in both physical and monetary units. In addition, ecosystem services are linked to land-use management options, defined with input from stakeholders. In the mountainous region of Himachal Pradesh, the case study will focus on ecosystem accounting to support better land management that is critical for the state's important hydropower industry. Land use patterns have an impact through sedimentation on the productivity of hydropower facilities. PTEC is helping test InVEST (Integrated Valuation of Environmental Services and Tradeoffs) and SWAT (Soil and Water Assessment Tool) models to develop usable tools for land use management. Over the next year the PTEC Committee expects to have guidelines for WAVES countries on how to design pilots for ecosystem accounting. The committee will share preliminary results from the test sites at the annual PTEC meeting this fall.